For tenants who began their leases before Sept. 1, 2016, landlords can raise their rent by up to $40 no earlier than Sept. 1, 2017. To do so, landlords must have all registration fees and penalties completely paid. They must also provide their tenants with proper written notice at least 30 days prior to the increase. For any leases that began on or after Sept. 1, 2016, landlords are not entitled to apply the general adjustment. San Francisco has extensive rent control that covers most tenants. For tenants in rent controlled units, the landlords can only raise the rent up to a certain amount each year. For the period of March 1, 2017 to Feb. 28, 2018, landlords can only raise annual rent by up to 2.2%. However, landlords in San Francisco can save up annual increases. They can implement multiple year increases at once so long as it is for the same tenancy. They cannot implement three years of increases for a tenant who has only had a lease for that unit for one year. 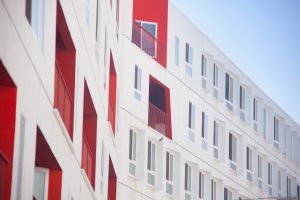 San Francisco landlords also have the option to request approval from the Rent Board for a greater rent increase due to higher operating and maintenance costs or capital improvements. There must be sufficient documentation to prove that this higher adjustment is necessary. Will Your Rent Go up? If you are a California renter and are worried about rent increases, there are a few steps to take. Determine whether your jurisdiction has a rent control ordinance. Not all California cities do. Determine whether the rent ordinance applies to your unit. You may not be sure based on the wording of the law. If you are confused, contact a local organization such as the San Francisco Tenants Union for help. If the ordinance does apply to your unit, learn more about when your landlord can raise rent and by how much so that you can be prepared for a change and know if your landlord attempts to violate your rights. Did Your Landlord Wrongly Raise Your Rent? If your landlord has forced an improper rent increase on you, contact us at Brod Law Firm right away. A rent increase can be unlawful if it is too high, at the wrong time, or without the proper notice. At Brod Law Firm, our San Francisco tenants’ rights attorneys can review your situation, explain your rights, and help you correct this situation with your landlord.